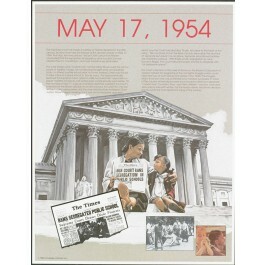 This unique educational poster focuses on a single day that changed American history -- the Supreme Court ruling of Brown v. Board of Education on May 17, 1954. 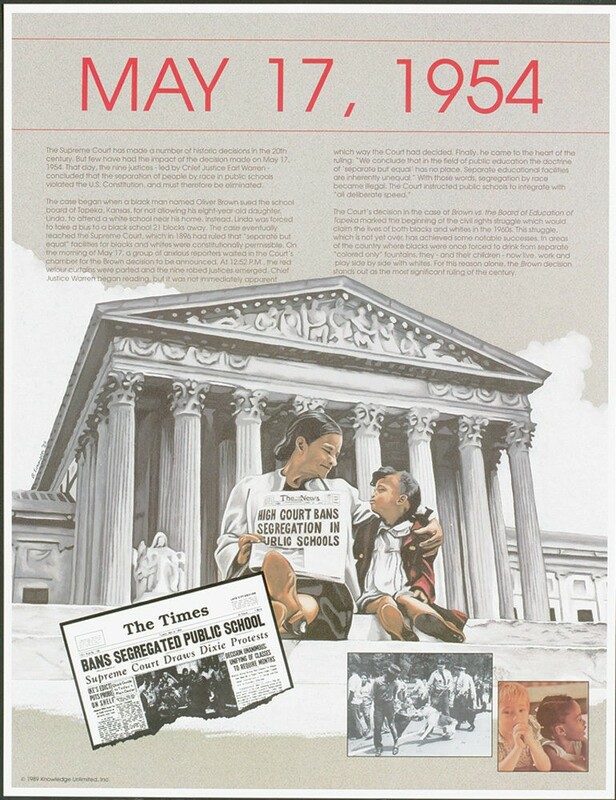 The poster features a striking illustration of the famous image of a mother and child sitting on the Court steps holding up a headline, among other images. It also provides a clear summary of the events leading up to the decision and its impact on our history.